Hollow City is the highly-anticipated follow-up to Miss Peregrine, Holly City and debuted on the New York Times bestseller list. Miss Peregrine’s Home for Peculiar Children was the surprise best seller of 2011—an unprecedented mix of YA fantasy and vintage photography that enthralled readers and critics alike. 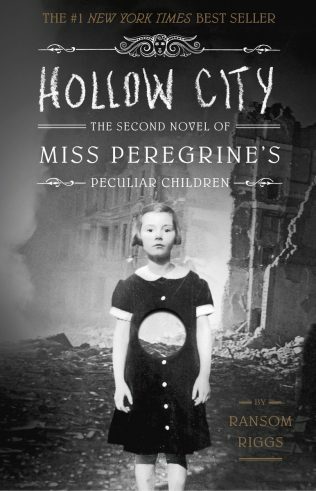 Its sequel, Hollow City, begins in 1940, immediately after the first book ended. Having escaped Miss Peregrine’s island by the skin of their teeth, Jacob and his new friends must journey to London, the peculiar capital of the world. Along the way, they encounter new allies, a menagerie of peculiar animals, and other unexpected surprises.